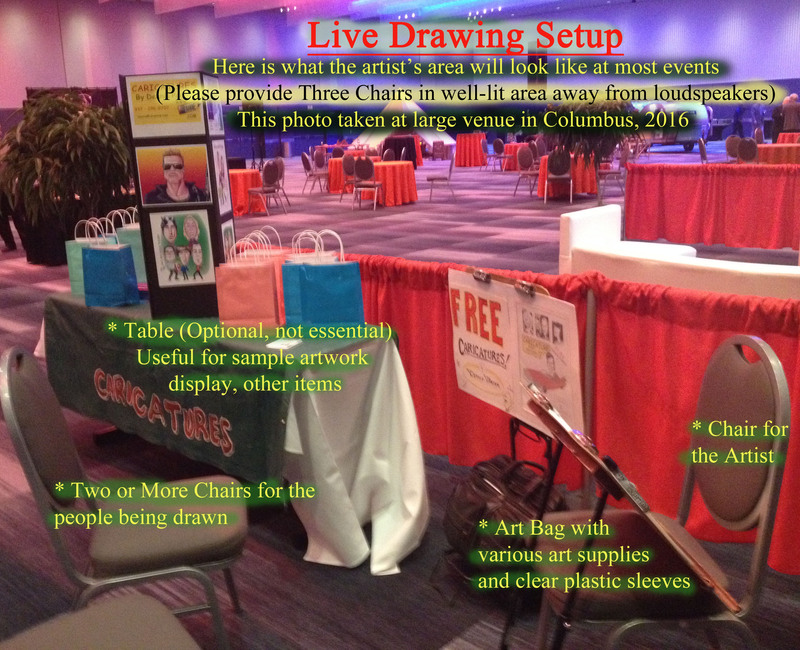 So you hired a quick sketch artist for your big event? I speak for all us who work in live entertainment when I beg you most sincerely — PLEASE place us AWAY from the loudspeakers. The noise is brutal, to us AND to your guests. If your DJ can keep the volume down, your event will be far more enjoyable for all, believe me.